I saw this recipe for lemon-raspberry pancakes on PaleOMG‘s website (so go check out her blog—she’s super funny and has awesome recipes!) and the thing I liked about it was that it didn’t have almond flour in it. Almond flour is great, but they say you shouldn’t heat it up because it can oxidize the fats which is bad. (Here’s a good article talking about both sides, if you care to read it.) 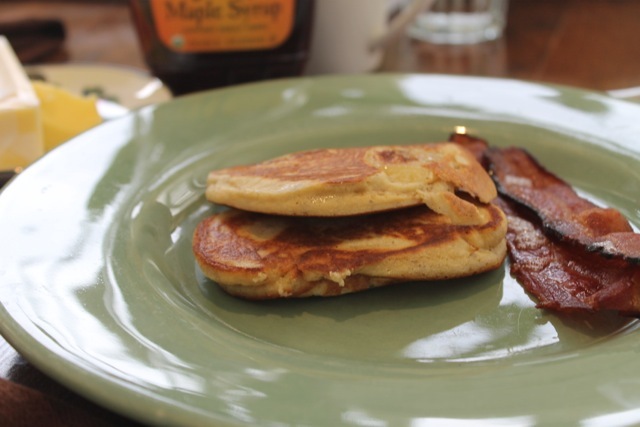 But these seemed light and fluffy, which seemed hard to achieve with paleo pancakes, so I was eager to give them a try. 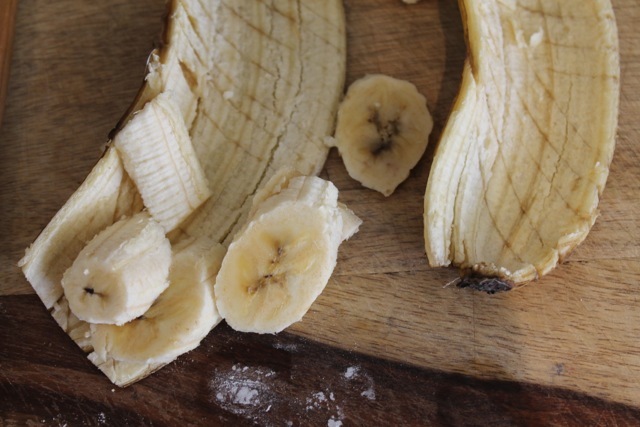 But I thought that the lemon-raspberry combo was a bit too fruity for me in the morning, and there were a few bananas looking at me eagerly from the fruit bowl. So I mangled Juli’s wonderful recipe and it turned out just fine for The Husband and I. 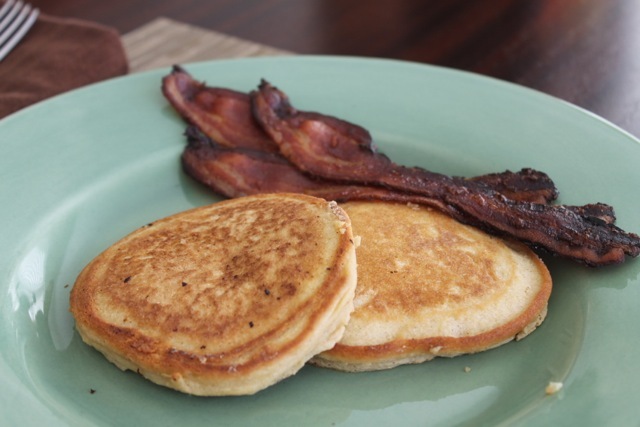 My usual trick with pancakes is to cook the bacon in the oven on parchment paper to save all the bacon fat. Then I use that fat to cook the pancakes with. Why? Because it’s delicious. And why not—you’re going to eat bacon with the pancakes, making it a little hard to pretend that it will be less fattening if you cook them in coconut or other oil. Mix the eggs, almond milk, honey and vanilla extract together in a small bowl or, better yet, the Vitamix. Mix the dry ingredients together in a larger bowl with a whisk, and then add the wet ingredients mixture slowly into the dry ingredients, whisking well as you go. Keep the cooked ones warm in the oven while you finish the whole batch. Serve with bacon and maple syrup. If you really are hungry or hungover, add a fried egg on top. You’ll thank me for it. These keep well in the freezer, just make sure to wrap them with parchment paper in between each before putting them in a ziplock. I want to thank Juli for creating this amazing pancake recipe so that I can eat pancakes again, which I only do a few times a year. To be honest, I think this recipe is so good, I don’t crave regular ones any more! So check out her blog because she’s got a whole site full of awesome recipes, and even a cookbook for sale. 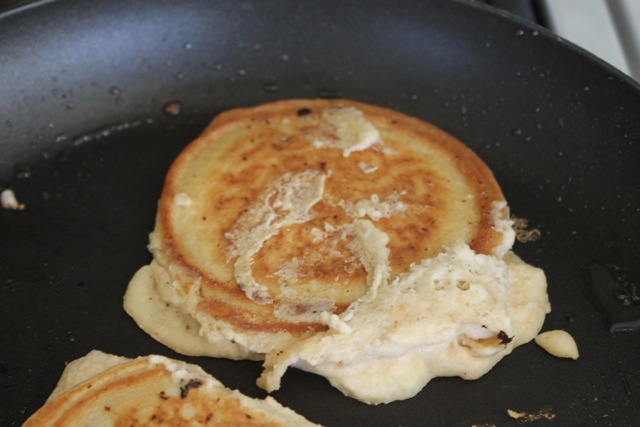 These pancakes look epic – and full of ingredients I can eat! I’m doing a sugar-detox and kind of hoped it wouldn’t be a huge improvement – but it is. Guess I better keep some if those new habits around at the end of the month! Laura, I hear you! I feel the same way! Sugar’s not much of a problem for me, unless it’s in alcohol form. But I’ve cut way down on other things, and that seems to help too–cheese, bread and burritos. I was eating way too much of those in December, and my brain might as well have been mud. Clear-headed now and raring to go! Got any yummy cheats? I’d love to hear them! 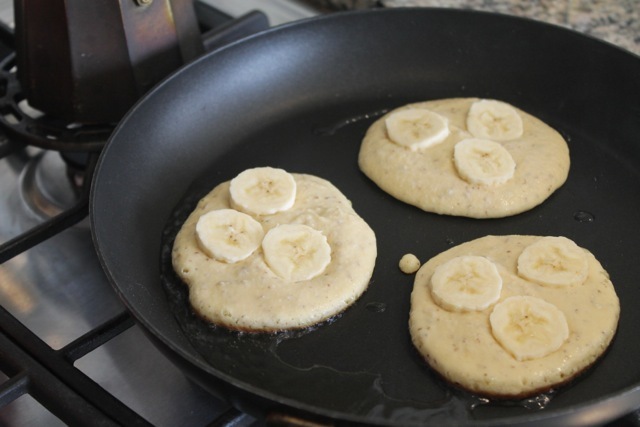 I might need to mix it up with a healthy style pancake like these! lovin it all the way, just perfect to start up a day…. They are a pretty good way to start the day, if I say so myself! Thanks for the comment! 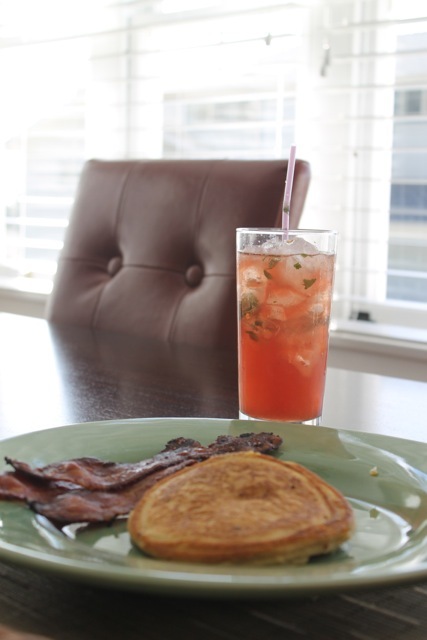 Ps: i just made some this morning with tons of bacon of course….